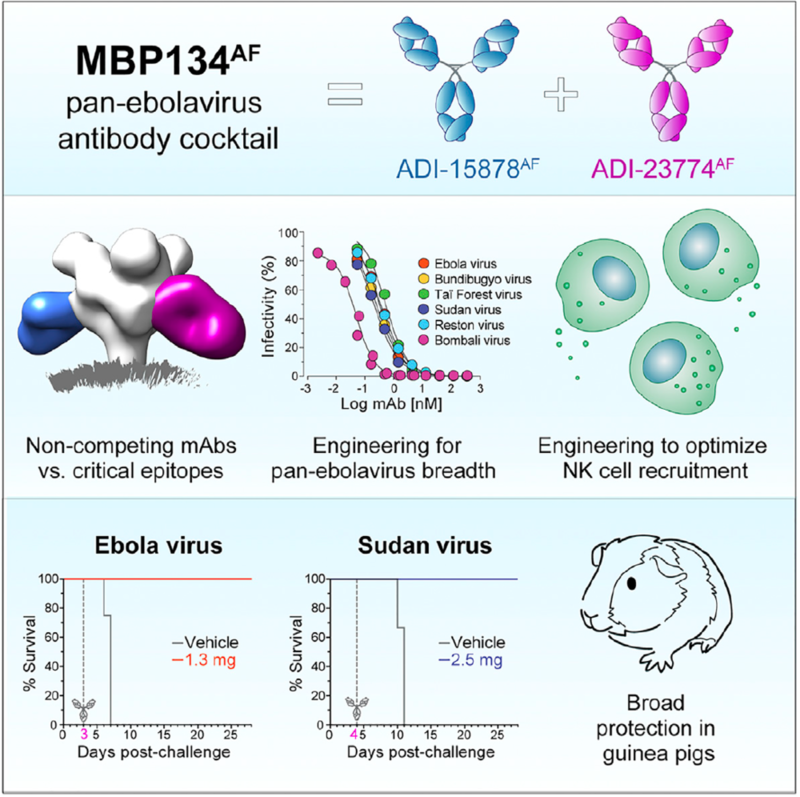 Our back-to-back papers in Cell Host & Microbe describe the development of an antibody cocktail that can protect animals against all three ebolaviruses associated with human disease outbreaks. This cocktail, MBP134, has set new benchmarks in both antiviral breadth and therapeutic efficacy. Our industrial partner, Mapp Biopharmaceutical, is developing MBP134 for human use in collaboration with the U.S. Biomedical Advanced Research and Development Authority (BARDA). in rodent and large-animal models of lethal ebolavirus disease. This work represents the efforts of an amazing international consortium of scientists from academia, government, and industry, including Einstein, Mapp Biopharmaceutical, Adimab LLC, Public Health Agency of Canada, United States Army Medical Institute of Infectious Diseases (USAMRIID), University of Texas-Medical Branch, and Massachusetts General Hospital. Stay tuned for more exciting work from our posse! Go here for my Q&A about our findings and their importance for developing a broadly protective therapy against ebolavirus disease. Read an independent take on our work here.